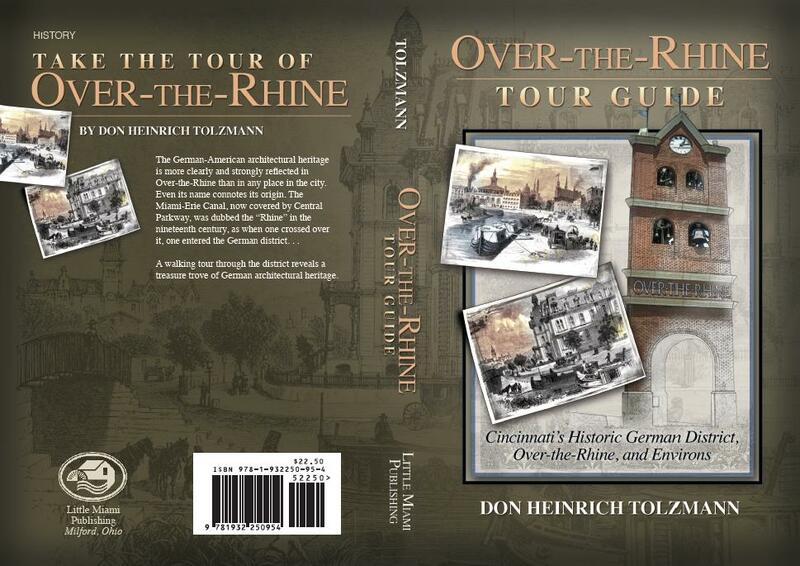 Dr. Don Heinrich Tolzmann, the award-winning author, German-American historian and President of the German-American Citizens League of Greater Cincinnati, has authored a new book titled Over-the-Rhine Tour Guide: Cincinnati’s Historic German District, Over-the-Rhine, and Environs published by Little Miami Publishing Company of Milford, Ohio. While I cannot review the book yet as its currently being published, I can attest to the author’s scholarship and familiarity with the subject matter. Findlay Market, Over-the-Rhine, Sunday, 11 September, 1-3PM. Hofbraeuhaus Newport, Thursday, 15 September, 5-8PM. German Heritage Museum, 4764 West Fork Road, Cincinnati, Ohio 45247, Sunday, 9 October, 1-5PM. It should noted that the author probably did not design the cover and, for accuracy’s sake, Pendleton is included in the Over-the-Rhine Historic District by the city, state and national authorities. Dman, please use a spellchecker, because you obviously can’t spell words correctly on your own.